Yeah mates vinyl lovers ! …two weeks ago was that magic time of year again when our heart skip while perusing the list of goodies released on Record Store Day. I could start explain the many reason to why I haven’t acces to that, but why bore you with a long read of situation on my country, that would be only a poor excuse , and I wouldn’t want be a vinyl collector weeping for the abundance of policy errors here. Anyway, you know I share all from this band over years ago ,one I find I’m in love with. 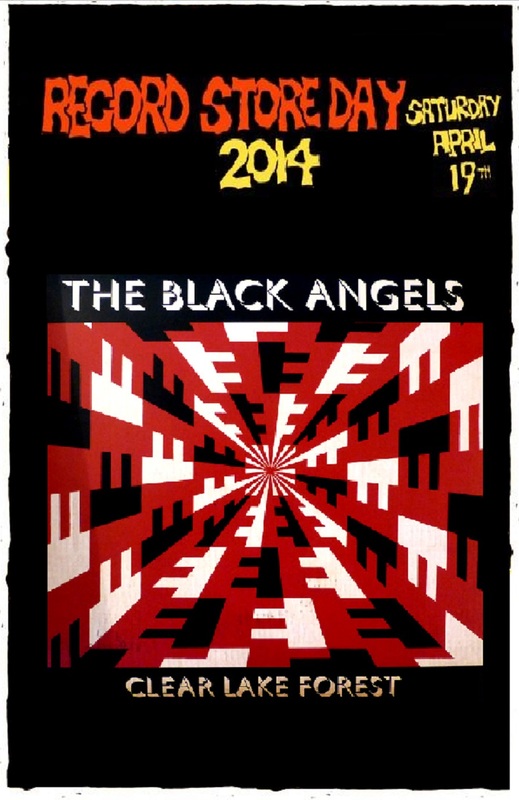 So I could not be more excited to post the RSD launch of the extremely talented friends The Black Angels . Why they are one of my favorites band constantly growling from deep within my speakers ? These seven songs will help you know it. After, you can check out on record store and dig for any . HI Pepe – here is a link to the new Secret Colours EP – Positive Distractions II https://dl.dropboxusercontent.com/u/4470685/SC-PDII.zip Thanks for sharing so much!